This programme showcases the profound, and little-known, Mass ‘Libenter gloriabor’ for Saints Peter and Paul by Obrecht. The two great apostles share the billing with their saintly colleagues Philip, Saint Catherine and the Virgin herself, celebrated in a series of spectacular motets by some of the great luminaries of the fifteenth century, including Agricola, Mouton, Brumel and Isaac. The wedding between the Burgundian Duke Charles the Bold and the English Princess Margaret of York near Bruges in 1468 was an event of incredible grandeur, dubbed by a recent commentator the ‘marriage of the century.’ Charles, no mean composer himself, presided over a court of unrivalled opulence with music to match. Our program showcases music that may well have been performed as part of the wedding festivities. 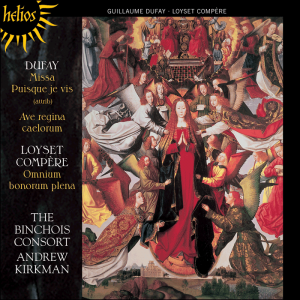 It combines brilliant motets by Antoine Busnoys (the foremost composer of the Burgundian Court with a temperament almost as explosive as that of his patron) and very different, if equally eloquent, Mass music by the great English composer Walter Frye. The English and Burgundian music (much of it performed by us for the first time since the fifteenth century) presents surprisingly different facets of the fifteenth century’s musical personality, and as in all good marriages, we feel that their combination in this program offers more than the sum of its parts. More Busnoys in a programme showcasing his fabulous Mass L’homme armé. 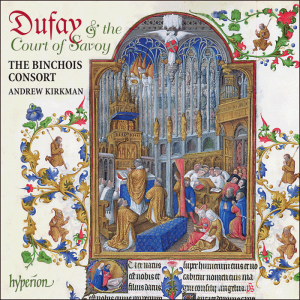 Busnoys was probably the most wayward musical genius of the later fifteenth century, and this Mass was one of the most influential pieces of its age. Listening to it today, it’s easy to see why: it is also one of the most brilliant and exciting pieces of the late Middle Ages. But Busnoys didn’t emerge from nowhere: in spite of his amazing individuality, he came under the influence of some major composers of his own and the previous generation. One of the most prominent of these was Petrus de Domarto, whose Mass Spiritus almus, one of the most popular Masses of the mid-fifteenth century, forms the other main pillar of this programme. The link between these two Masses is forged by a group of motets, including one, Busnoys’s ‘Anima mea liquefacta est’, that is based on the same melody as the Domarto Mass. This is a sensational repertory that stands to attract not only aficionados, but also to pull in new listeners to fifteenth-century music. Josquin Des Prez’s reputation cast a long shadow after his death in 1521. Demand for his music, particularly in Germany, far outstripped supply, leading to the widespread reattribution to Josquin of pieces by other composers. 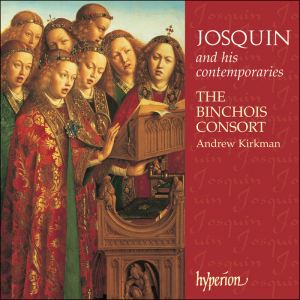 Yet if some of the pieces bearing Josquin’s name in these late sources look unlikely to say the least, others, more plausibly ascribed to lesser-known masters elsewhere, sound stylistically very close to bona fide music by the great man himself. This programme gives you the chance to judge for yourself: pieces solidly ascribed to Josquin are set against others that, though widely assumed to be by him in the sixteenth century, are now more plausibly assigned to others. Along with these pieces are others that are ascribed unambiguously to composers who, though less celebrated than Josquin both now and in the early sixteenth century, were capable nonetheless of rising, on at least on these occasions, to heights comparable with those scaled by their better-known contemporary. Besides forming a diverse and very appealing programme, with some truly stunning music, this group of pieces makes for fascinating contrasts of style. St Anthony of Padua held a very particular significance in the devotions of Guillaume Dufay. The single holy relic in his possession was a piece of the Saint’s belt, listed among the ‘jewels’ in the account of the executors of his will. But the main expression of his veneration was undoubtedly the Mass which he composed in St Anthony’s honour. This Mass, of breathtaking beauty, was a deeply personal expression: Dufay’s will specifies that it was to be performed every year on St Anthony’s feast day in front of his own funeral monument in Cambrai Cathedral. Our program places Dufay’s great personal musical statement alongside a motet also intended for annual performance in St Anthony’s honour. When David Fallows identified a Mass in the Trent codices as Dufay’s Mass for St Anthony of Padua, one of the great mysteries of fifteenth-century music was solved; and on hearing this great piece, no-one could be surprised that this was the Mass Dufay had chosen to be performed for his soul in perpetuity. But in solving one mystery, another one was born. It was known from Dufay’s will that he had written Masses for both St Anthony of Padua and St Anthony Abbot: if this Mass, formerly thought to be that for the latter saint, was actually the Mass for the former, what had become of the Mass for St Anthony Abbot? As it happened, a Mass for St Anthony Abbot did survive, also in the Trent codices, and attention turned to this piece. While not everyone agreed that this was the Dufay Mass, about ten years ago, Alejandro Planchart produced evidence that this must indeed be the ‘lost’ work itself. The Mass itself only seems to confirm the evidence: this is a piece of stunning beauty, peppered with classic Dufay musical figures and turns of phrase. Perhaps not surprisingly, the style of the piece is very close to that of the Mass for St Anthony of Padua. This programme, which we plan to record, and which consists of music that is scarcely known to modern audiences, places the Mass alongside other little-known Mass music by Dufay and Binchois. It promises to be a real landmark in opening up this music to a wider public, and I think it would attract a great deal of critical attention. 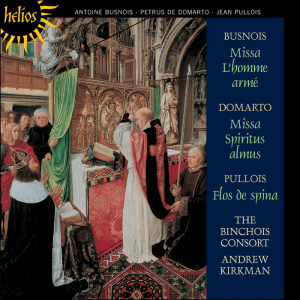 It was our recording of this Mass and related works that won the Gramophone award for ‘Early Music Recording of the Year’ and a ‘Diapason d’Or’ in 1999. The critical response was surely as much to its fabulous music as to our interpretation of it. 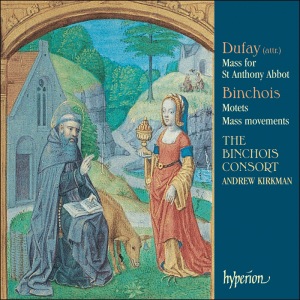 Dufay’s Mass is a masterpiece of early fifteenth-century style: by turns gritty, angular and elegant, it grabs its listeners and draws them deep into its compelling soundworld. The success of the recording was surely also a response to the diversity and brilliance of the programme as a whole: from the mysterious Introit of the Mass through two of the composer’s greatest motets and most festive Mass movements to the final glory of his motet for St Andrew, ‘Apostolo glorioso’, this programme is a feast of the best in Dufay’s art in its early maturity, and indeed of the music of his time more generally. In this programme we set a great Mass of the mid-fifteenth century against a series of virtuoso motets of the same period. It was Laurence Feininger, the great Dufay scholar of the middle of the last century, who first suggested that this anonymous Mass is in fact the work of Dufay, and recent experts have agreed. Anyone who knows the late Dufay Masses, and especially the one on Ecce ancilla domini, will feel immediately at home here: Dufay’s effortless elegance, subtle timing and structural poise are everywhere apparent, and it seems likely that our recording, when it is issued next year, will soon make it a favourite of Renaissance music aficionados. Two other pieces in the programme, Compère’s ‘musicians’ motet’ ‘Omnium bonorum plena’ and Dufay’s ‘Ave regina celorum’ (the piece he asked to have performed at his deathbed) are better known to lovers of this repertory; but ‘Concede nobis Domine’ and ‘Salve maris stella’, anonymous works in a brilliant virtuoso idiom, will be surprising as they are gripping to the ear.